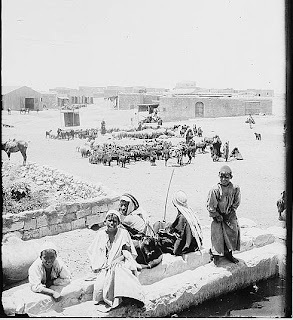 For centuries, Be’er Sheva was little more than a desert oasis surrounded by scattered Bedouin tribes. 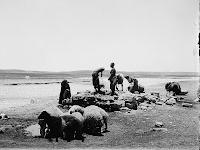 In the 19th century the Ottoman Empire established a garrison in the village (“town” would be an exaggeration), and as war clouds gathered in the early 1900s, the Turkish army presence grew. The American Colony photographers recorded scenes of the town, showing it sparsely populated and almost barren. The photographers took pictures of some of the services that were established for the army – a tailor shop for uniforms, cobblers for the army boots, a mill for flour, etc. encampment on the right. Click to view the serai, or inn. 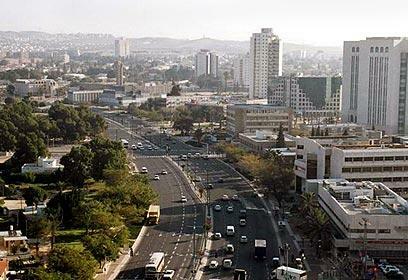 The present day Be’er Sheva municipality reported that Jews arrived in Be’er Sheva during this period to work in some of these services and to work on the railroad line and bridges to Be’er Sheva. The largest building in Be’er Sheva was the serai, an inn. 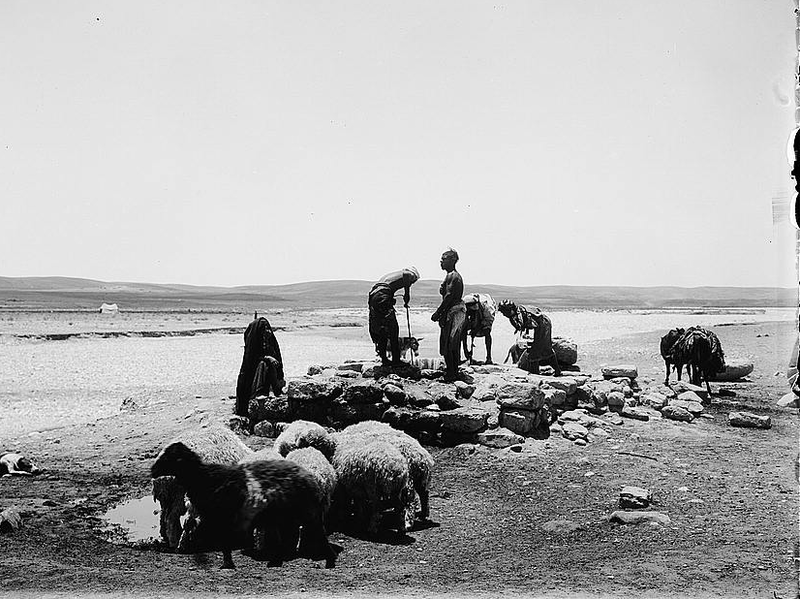 The wells of Be’er Sheva were the only source of water in the region. throughout Palestine to support the war effort. 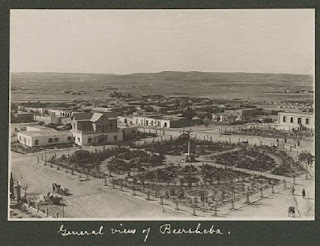 During World War I, Be’er Sheva was a supply center for the Turkish army and an anchor for Turkish-German defense line between Gaza and Be’er Sheva blocking the British army’s advance north from Sinai. The British attempted to break through the line at Gaza twice in March and April 1917, and they failed disastrously, losing thousands of men. Studies Centre.) 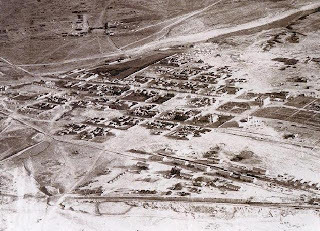 Note army tents located around the village.